Can one secret stop two broken hearts from mending? Alisa, bank clerk by day-self published writer by night, gets a phone call that will change her life. Hollywood wants to make one of her books into a movie. The news comes on the day she starts vacation, excited, she leaves work early to surprise her husband. To her surprise he is already home, and well even more surprising he is sexing up the neighbor in their bed. Heartbroken and angry she makes a decision to head off to Hollywood on her own. Before the meeting she meets her TV crush Logan Rider. Logan has not only read her book Portals, but he wants to direct the movie. The offer is almost too good to be true! 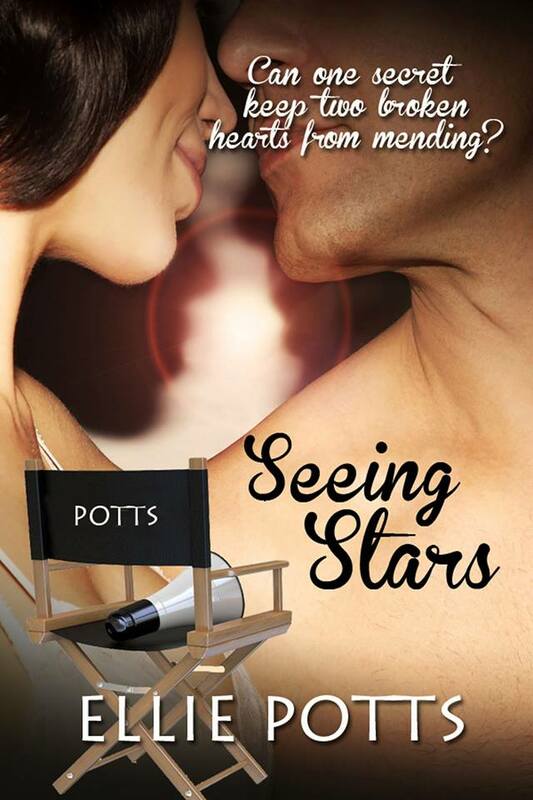 Alisa is thrown into a whirlwind of Hollywood as she sees stars, learns the movie business, and uncovers a few secrets. Secrets that prove actors are just as flawed as regular people. But there is one secret that can destroy Logan’s career. Will Logan be devoured by this secret, or can he find the strength to conquer it with Alisa’s help? “Can you show me?” Dawn asked her eyes shining with anticipation. “If my kids found out I went without them they would shank me,” Dawn said seriously. “I heard Disney what is going on?” Logan said as he walked over to them. “I love Disney, it is just kind of expensive to go,” she said, shrugging. “It’s nice seeing Logan happy. After the breakup he was so sad. I believe he thought she was the one.” She watched Logan and Dawn have an argument, until someone said the wrong line and they started giggling. “CUT!” Roman screamed making Alisa flinch. “Step two. Some directors are just assholes. You just learn to deal.” Logan turned to them and winked. “I have no double,” she said turning to Ray. They laughed as they turned back to watch. After Dawn and Logan it was the whole cast, then Logan and his pretend off and on crazy girlfriend. Alisa watched Roman, she watched the stage hands, she watched the camera people, sound people, and all the rest. A little nagging voice sprang forward. You don’t belong here. But I want to belong here, she replied to the voice. Somebody told Ellie Potts you had to be rich to be eccentric otherwise you were plain crazy. She set out to prove them wrong doing things she was told she couldn’t do like dressing for pirate and renaissance faires, get her stories published, playing video games, planning to survive a zombie apocalypse, and other antics most women stay away from. She is also a Whovian, Browncoat, Star Wars addict, and collector of arcane knowledge. Now she lives in California’s Central Valley where most of her stories and books take place. Her and her husband are owned by their attack Bugg, and her red eared slider turtle minion who live in the backyard.